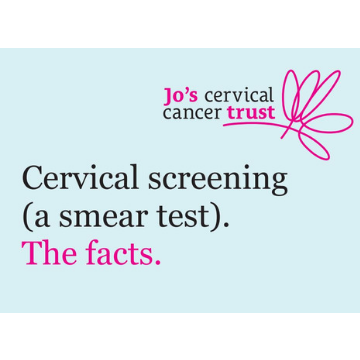 This credit-card size resource is about cervical screening (a smear test). It explains what cervical screening is, who can have cervical screening, and what happens during the appointment. It also has tips to help make the test better. Last reviewed Oct 2018. Next review Oct 2021.